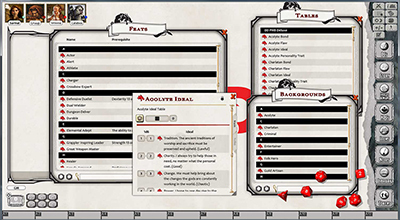 The Fantasy Grounds Virtual Table gives Dungeon Masters and players all the tools they need to play D&D over the internet. Mix and match class and monster packs, create your own adventures and encounters or play published modules with all your friends no matter how far away they live. 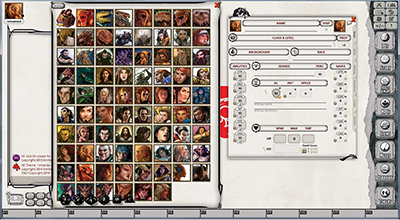 We are happy to announce Wizards of the Coast has partnered with SmiteWorks to bring Dungeons & Dragons to the virtual tabletop Fantasy Grounds. 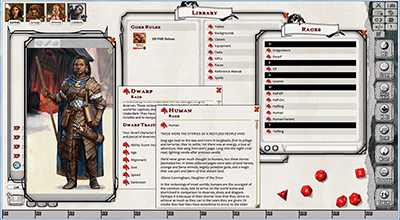 All of the rules, classes and monsters available in the core rulebooks has been skillfully converted to be usable within Fantasy Grounds. Fight cunning beholders and ancient red dragons with your long-distance friends! Roll that virtual d20 with advantage! 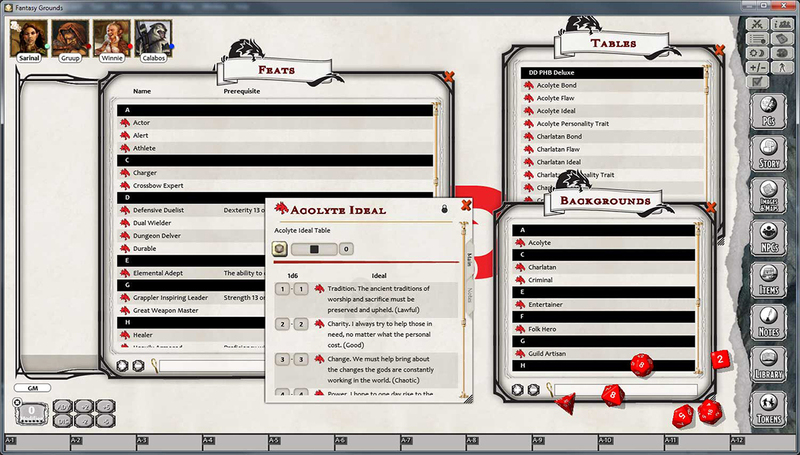 Fantasy Grounds is an application developed by SmiteWorks to help gamers play tabletop role playing games over the internet. 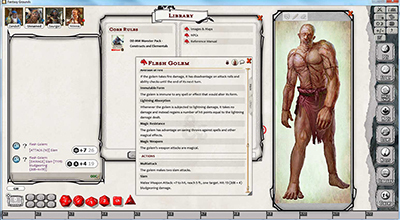 Players can download the Fantasy Grounds client, available from FantasyGrounds.com or from Steam, and log in to your Dungeon Master’s specific table. 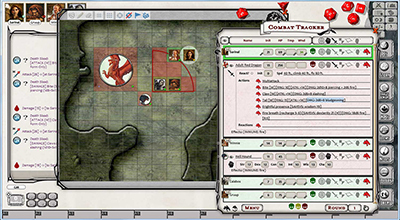 The DM runs the game like any other D&D session, with mapping, combat and skill checks all automated through Fantasy Grounds. One of the greatest experiences in Fantasy Grounds is rolling 3D animated dice and having the results shown to the whole table. The drama of rolling that natural 20 against the big ogre about to pummel your friends is the same as if you were physically sitting together. You can purchase the D&D Complete Core Class Pack with all the class, feats, spells and equipment or you can purchase individual classes based on what your party is using. You can also buy the monsters in packs separated by monster type like aberrations or dragons or as the D&D Complete Core Monster Pack. All of these packs have been converted to work tightly with Fantasy Grounds to give you the best possible gaming experience. Each pack contains all the great artwork and content from the official products published by Wizards. Not only will you get the same content that can be found in print, but you also get an exciting new theme for the client, as well as adventures and content customized specifically for ease of play inside of Fantasy Grounds. Right now, you can check out all of the packs available on the Fantasy Grounds website, or purchase them through Steam. The adventure found in the D&D Starter Set—the Lost Mine of Phandelver—is available for purchase now, and SmiteWorks will be bringing the Tyranny of Dragons and Elemental Evil storylines. 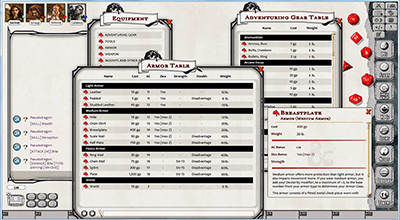 For Dungeon Masters and players on a budget, you might pick up a Player Customization Pack and one or two Class Packs of your choice. Dungeon Masters can often get by with just the Adventure of their choice and one or two Monster Packs. Don't forget that players can gift purchases through Steam for Dungeon Masters who have linked their license on Steam. Try a demo of Fantasy Grounds today and check out the D&D offerings!